While most of us would be bidding farewell to 2007 on a happy note, cherishing all the good moments that the year presented, I would not be joining that bandwagon. 2007 saw the lowest points of my life. It is the only year so far that makes me feel wasted. It is the year that saw stagnation to my growth, the year that gave me agonising pain, the year that made me feel insecure, the year that questioned my believes on true friendships, the year that raised doubts on my capabilities, the year that proved the decisions I took were fatal, the year that gave me unrealized hopes, the year that made me frequently ponder about the purpose of my life. I know I should count my blessings instead of brooding. But my mind is chaotic as I turn my back on 2007 and welcome 2008 into my life. Although pretty much nothing exciting is happening on my side (that just explains why this blog is seeing less of my personal life nowadays), I am once again happy to make another shout out. Erik has selected Crazy Sam's Bloginess as one of the gay blogs he found interesting in 2007. In his blog, Best Gay Bloggers, his post links back to the one in which I describe my very first coming out experience. Thank you so much Erik! To all my readers out there, I am very much grateful for all the support you guys are giving me. Hugs!! Click here to read the Best Gay Bloggers post. God! I Luuurrved this movie! From the moment you hear the narration of Angelo's life from his pre-born days to the present when he talks to the guy at the Gay Helpline, you will know that you are guaranteed to have a fun time till the end. Angelo is gay and closeted who happens to be bestowed with parents who act crazy all the time (which is real fun! ), a sister who goes to the anxious mode every now and then and a hunky (and yummy) boyfriend who feels insecure about his sexuality. Together they all present to you, what I can say, one of the funniest movies I have ever seen. The dialogues are so witty and f**king hilarious! Angelo: There is no fate worse than being gay and Italian. 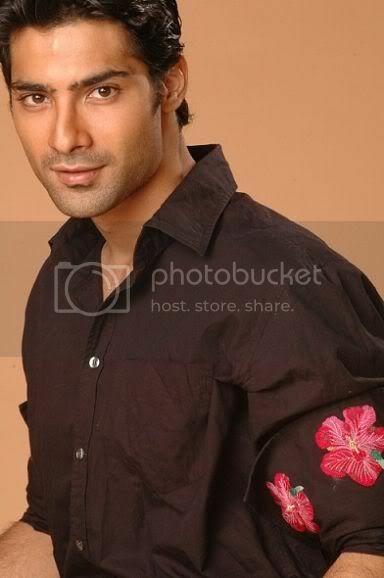 All the lead actors have got some attraction factor which makes you sit there like a moth attracted to the flame. 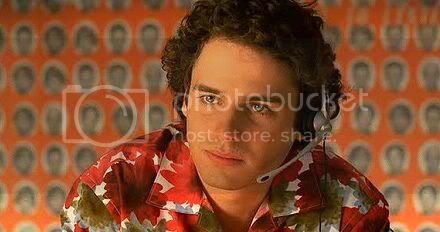 Angelo (Luke Kirby) is cute and has got beautiful eyes which I was gazing the whole time whenever his scene came up. 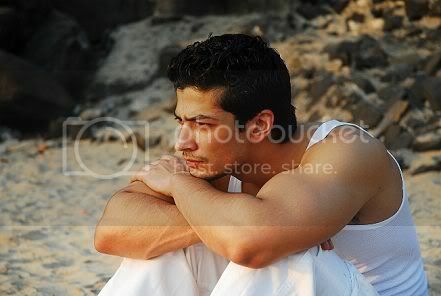 His boyfriend Nino (Peter Miller), handsome and smoking good body! His face reminded me of my first crush. The Gay Helpline guy, Peter (Tim Post) is cute too and clearly he possesses the voice that could blossom romance even in the coldest of hearts. And I especially loved the boy (Michael Romano) who played Angelo's younger days - loved his smiles. 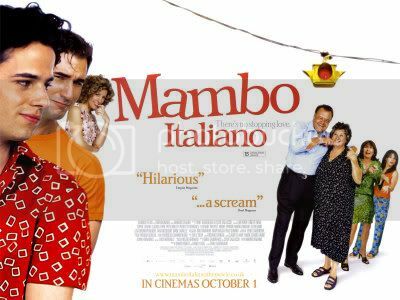 Mambo Italiano is a perfect movie to watch if you want something lighthearted after the day's tiresome chores. I am happy to announce that the guys at LMGTS (LetMeGetThisStraight.Com) found Crazy Sam's Bloginess worthy to be mentioned in one of their posts. Thank you guys! I was totally surprised and honoured when I saw that post. I am glad to know that people are liking what I am writing. It is always a boost to your ego at a time when you see other blogs which you feel are far more superior and you question yourself, "If people are used to reading such quality stuffs, would they be liking mine?" So this just proves that you guys can tolerate what I am dishing out here. Lol! Click here to read the LMGTS post. Don't know whether it is because I listened to too many love songs, but I am feeling romantic. A hope that something good is bound to happen. The whole day, the dreamer in me was feeling happy for some unknown reason. Rarely do I care to buy albums from music stores. "Tera Mera Pyaar" (Mine And Your Love) happens to be one of them. A nice romantic album capturing every colour of the romance. The songs are definitely worth hearing again and again. It's been 3 years since I bought it and I play it even this day. Some how I don't feel tired of hearing it, but still remains fresh every time I listen to it. What you see in the music video below is actually the picturization of one of my dreams! How would you feel when you go to the movies or cafe and you find that special person that makes your heart skip a beat! How lucky would you feel when you get to know that strange connection is felt by the other person too? Would you desire him or her to be yours? What happens next? Is this something destined for eternity or is it just an infatuation? So many questions and the answers seem hidden. You feel like you are in a trance and you don't want to escape from it. "Tera Mera Pyaar" emotes all these feelings bringing life to my dreams. The song I like most is the second one from the album, the one sung by Shreya Goshal, "Yeh Kya Hua" (What Has Happened?) and the story continues. It's special for various reasons. The very soothing voice of Shreya makes you want to listen to it again and again. The song captures the budding phase of romance, where the souls question themselves whether they have actually fallen in the so called "love", the nervousness of where this could lead to and the hope that this romance lasts forever. Perfect for anyone who wishes to hear a soft melodic tune, it always has a rejuvenating effect on me. The video is so beautifully and artistically taken. A little googling and I found out the name of the hunk. Bhanujeet Sudan. He has got the looks and the body and then something else (is that we call the 'it factor?') which makes me go crazy about him. Anyways, he is definitely my boyfriend type and in my dreams he has my heart! Warning: This post and the below one were originally written together, that's why both have the pompous taste. If you don't like pretentious talking, you should not read them. there is so much energy put into cruising, socialization, fashion, months at the gym ... and finally you get laid.. and never hear from the f**ker again. Then you invest all your energy and money back into grooming, working out, making yourself perfect again for the next leg. It's like everyone is out there in search for that perfect specimen. And most seems to be not getting that. And very lucky few gets the strength to look past those facades, to accept the real person behind it. My story is somewhat different. I get to interact with three classes of people. 1. The guy has got good looks, but not appearing to have the same wavelength. 2. The guy is of the same wavelength, but scores poor in the looks department. By now, you must be thinking this must be everyone's situation. Wait, you haven't read the third. 3. The guy has got good looks, same wavelength. (A rare blend!) But then he f**king leaves the country! Ask my stars and they would agree. Seriously! Someone is really having a blast, playing games on me. Nowadays whenever I feel the guy in question is of the third kind, I just ask him, "You are soon going to fly, right?" And I don't ever believe in long distance relationships. God bless those souls who were in such situation and made it through or are currently going through such a phase. But I'm not comfortable with the idea of long distance relationship. Nope, it is simply not meant for me. The wedding went fine. For me this was nothing like I've ever attended because the wedding had a mix of Northern and Southern cultures put into it. I was actually planning to surprise everyone on the wedding day about the new look, but had to give away the suspense on the night before the wedding itself. As you see in Hindi movies, the night was filled with music and dance. I had a wonderful time, because everyone's attention was on me. They were all just in awe seeing me. During 'Dhoom Again' and 'Dard-E-Disco', I really got the chance to show off. My moves dumbfounded many and some asked me whether I had previously learnt the dance. Truth to be told, the only sessions I had were those that I do daily in front of my comp with the speakers blasting at their maximum. And most of the steps are so gay that could dizzy my parents if they ever see me performing. (Put me some Britney tunes and you'll see what I mean.) So I was taking extra-caution not to make those queer moves during the celebration. But all in all, I loved the attention. Next day, I emerged out wearing the sherwani and I looked damn good (or should I say, I looked fabulous!) I asked the wedding photographer to take some snaps of me. And he was like, he was about to tell me that. In my opinion, only a professional photographer can make me look good. I not at all photograph well. I might be getting a decent one only after clicking 50 or 60 snaps. Seriously! It's like I'm not meant to be filmed, but to be seen in real. But the most frustrating part is when I take photos of others, they become exceptionally good! How unfair is that!